Tampa, Fla. – – Harbour Island Athletic Club & Spa is proud to host World Class professional tennis athletes here in Tampa to compete in the “Harbour Island Athletic Club & Spa” Men’s Clay Court Championships. This U.S.T.A. sanctioned tennis event will feature 32 singles players and 16 doubles teams competing for the $10,000 purse, as well as coveted ATP singles and doubles points. For a limited time, Harbour Island Athletic Club is offering “Sponsorship Packages” to area businesses and organizations. This is an exciting time to promote and market your company or organization and align it with Harbour Island Athletic Club and Spa. U.S.T.A. Professional Tennis Circuit and Wilson Sporting Goods the official ball of the tournament. Qualifying play will begin April 28 and go thru May 1. The main draw tournament will start May 2. There is no charge for admission to the tournament. This is a great way for a family to see up and coming professional tennis players on their way to the top. The United States Tennis Association (U.S.T.A.) 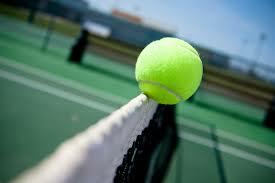 is the largest developmental tennis tour in the world. During the past year the circuit has offered tennis players all over the world the opportunity to compete in over 100 tournaments for more then 3 million in prize money. 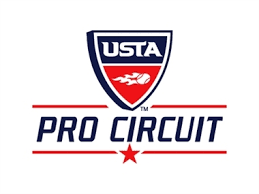 This professional circuit has been instrumental in advancing the careers of many current players. Harbour Island and Tampa has been fortunate to see players such as Andre Aggasi, David Wheaton, Ken Flach, Robert Seguso, and recently James Blake and Mardy Fish both on the U.S.A. Davis Cup Team play compete at the “Futures” level. If you cannot be one of our elite sponsors, by all means please come out and enjoy world-class tennis and meet players from all over the world trying to be the best in their sport.